Barry Brown provides unparalleled service to those looking for real estate help on California's Central Coast. His number one priority has always been your complete satisfaction and delivering service you'll be talking about for years to come. Whether you are considering buying a home, selling a home or both, he's the one... "Bringing Your Dream Home"
Proudly serving the communities of Arroyo Grande, Atascadero, Avila Beach, Baywood, Cambria, Cayucos, Grover Beach, Los Osos, Moro Bay, Nipomo, Oceano, Paso Robles, Pismo Beach, San Luis Obispo, Santa Maria/Orcutt and Templeton. 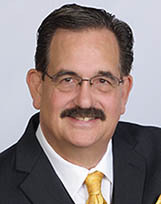 Barry has always shown excellent professional knowledge in our real estate transactions as well as personal caring for our needs and interests. We have used Barry for 3 home sales and 1 purchase over many years. He has demonstrated to us his skills with technology also. He uses every marketing tool with ability and we feel he is the "best" of the best. We know him to be of high integrity, and have a strong personal work ethic. We recommend him highly to everyone without reservation.